Absolutely ONE-OF-A-KIND OPPORTUNITY! Incredible attention to detail and design! 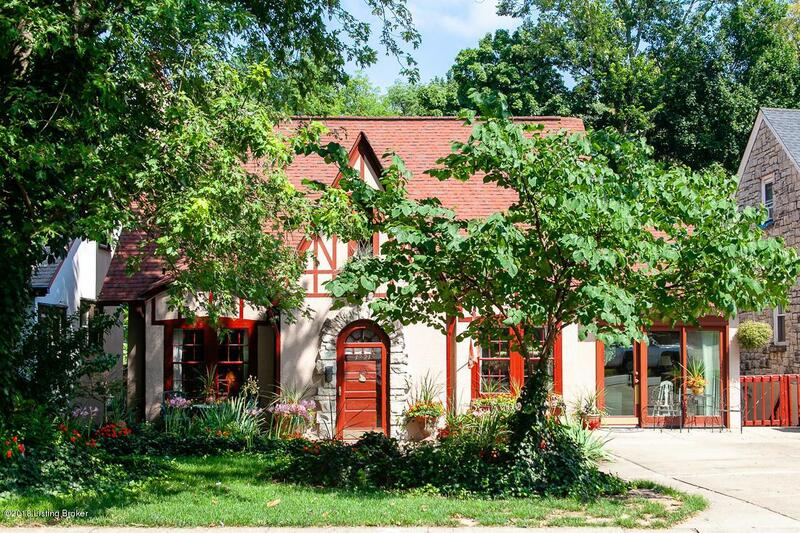 Arches, 2 staircases-one with tiled steps, private nooks, unique spaces, 3 levels of gracious living in one of Louisville's BEST LOCATIONS, LOCATIONS, LOCATIONS! This CHARMER features cove lighting, beautiful faux painting, hardwood floors, indirect lighting, UPDATED KITCHEN with Brazilian granite and tile backsplash, open floor plan, a lower level entry and this home is one of the original 40 homes with a Lakeside membership! Gorgeous landscaping provides beautiful views from every level of the home. The exterior is 1'' cement STUCCO-the REAL THING! The roof has 40 year architectural shingles. Walk to Bardstown Road, be a LAKESIDE MEMBER! A MUST SEE! A HIGHLANDS BEAUTY!